” Will McDonald’s Corp (MCD) Bring Back Good Times for the Great Taste ?” – May 3, 2015. 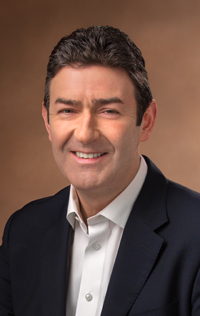 Steve Easterbrook, President & CEO, McDonald’s Corp., U.S.A.
Steve Easterbrook, President & CEO of McDonald’s Corp (MCD), U.S.A., strongly, forcibly, and impressively stressed on April 22, 2015, ( 1st Quarter results revealed a 2. 3% decline in Global sales and reduction in guest traffic ) about revitalizing the company with lasting quality and maximum performance recording higher growth soon. Labor, Social, Environmental issues, and even attracting the existing customers are posing new challenges and causing concern now and hence the CEO’s reassurance. McDonald’s restaurant with its Golden Arch in India. McDonald’s is world’s leading Global Food Service Retailer with over 36,000 restaurants in about 120 countries serving approximately 70 million customers each day. 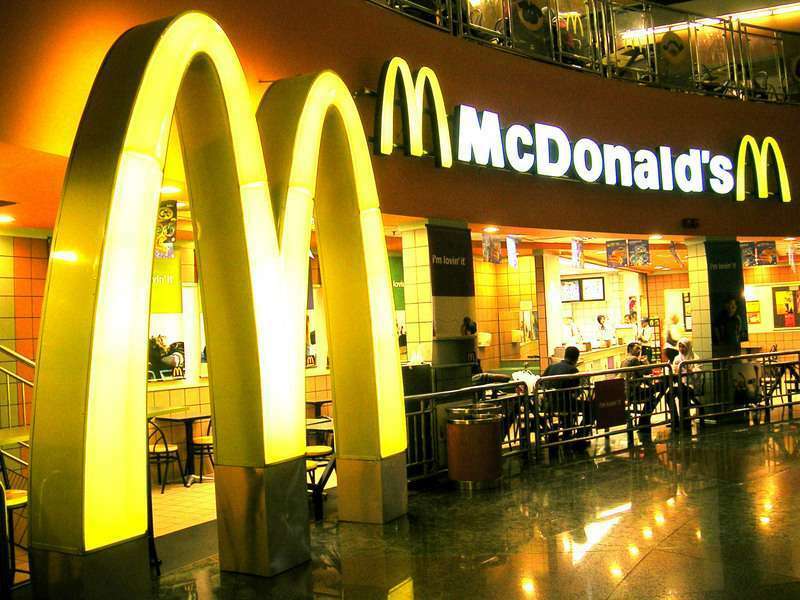 More than 80% of McDonald’s restaurants worldwide are franchisees. It employs about 1. 9 million people. Its Golden Arch as a Brand Symbol has a strong Brand Identification with the arch embedded strongly in customers’ minds. People found McDonald’s friendly and nurturing. Its burger is popular everywhere. It could do with its famed products with minor variations in countries due to taste and culture differences. It could have a marketing/publicity campaign easily in most countries without big changes. With modern trends like networking and friendly culture reigning supreme coupled with changing tastes and personal health preferences of specially the younger and older groups equally, McDonald’s offerings need to be loaded high on value expectations now. The more conventional or usual approach of ‘cost cutting’ may not be adequate to make it profitable. McDonald’s has also made its good intentions public to increase the hourly wage of employees by $ 1 from July 2015, but that didn’t much enthuse the workforce at this juncture. 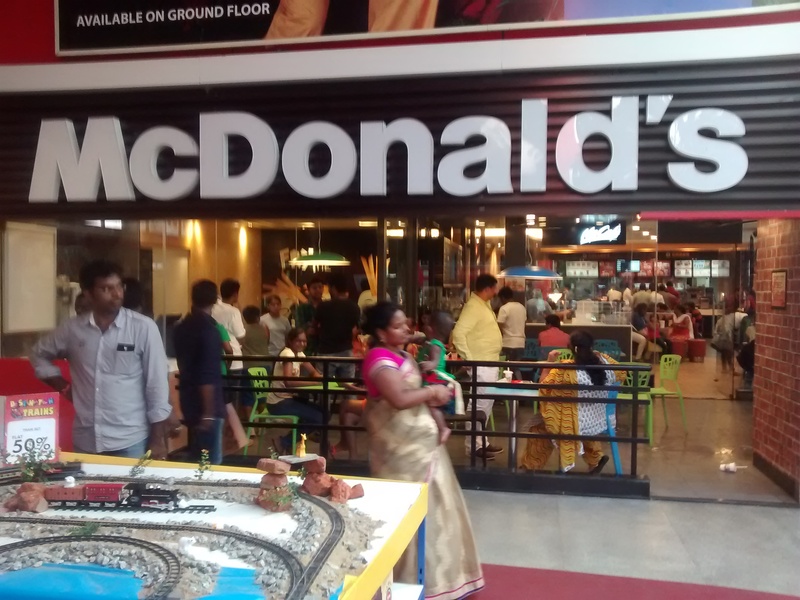 McDonald’s restaurant in IT City, Bangalore, India. McDonald’s is now compelled to think and act in terms of new ideas. Perhaps, revisiting its glorious days of 1980s/1990s may be in order. Remember the many programs that helped crystallize and reinforce its Corporate Image through Community Support Events. 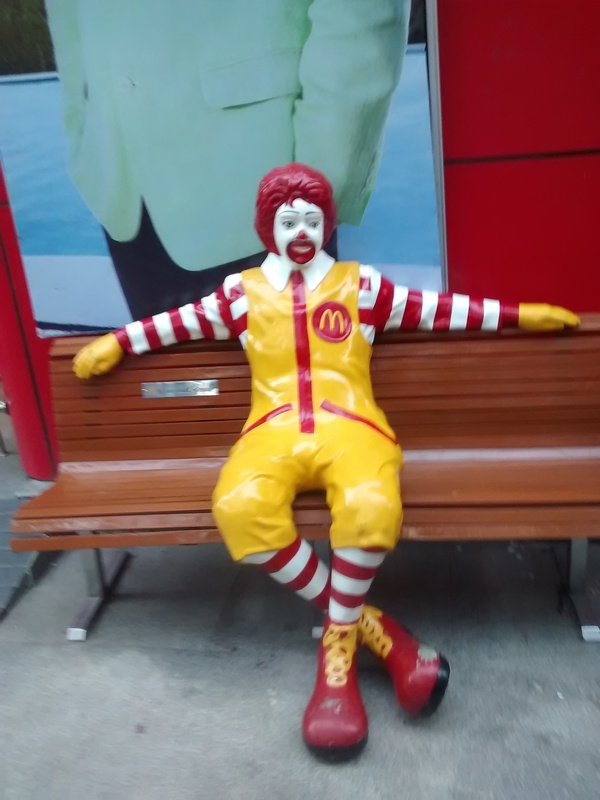 – Ronald McDonald Houses providing free rooms to families visiting Children’s Hospitals; McDonald’s brought ‘Happiness’ to families. – McDonald’s was the Corporate Sponsor of 1988 Olympics. It also sponsored other Gymnastics/Swimming events; McDonald’s brought a sense of ‘Festivity’ to the Sports persons and the viewers. – McDonald’s promoted Monopoly Games and National Football League Sweepstakes; McDonald’s created an ‘Exalted’ appeal to the baby boomers. – McDonald’s claimed nutritional value of its food through publicity; McDonald’s gained special ‘Honor’ for the nutritional facts and its concern for health. – McDonald’s mix of sales promotion, advertising, and publicity couldn’t be matched by any of its peers in quality and quantity; McDonald’s ‘Glory’ was cast swiftly and effectively. All of these helped promote goodwill for McDonald’s which pushed sales and guest traffic. 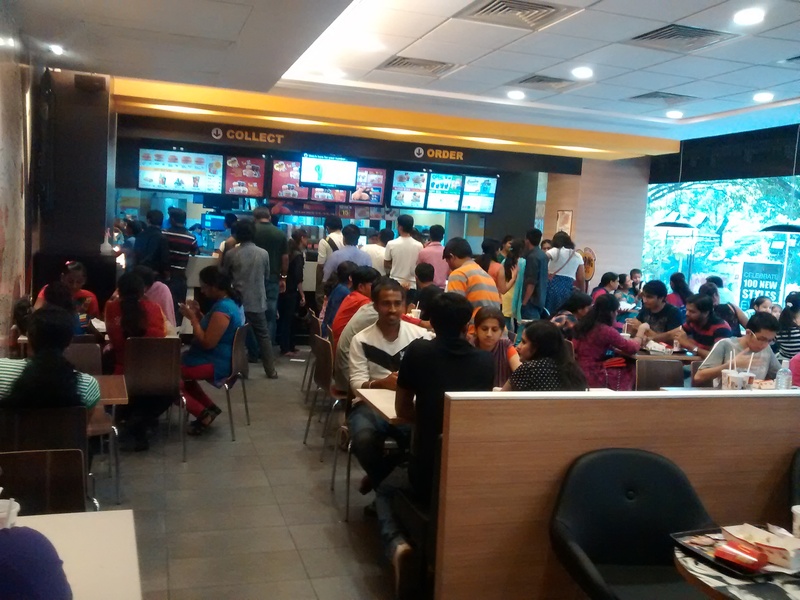 A view of customers in a McDonald’s restaurant in India. This brings my focus to the new ideas that McDonald’s can push to stay relevant and innovative as the leader. Three focus areas can be identified for the purpose. (1) Health Orientation/Nutritive Value of its Offerings; (2) Promotional mix with a different approach; (3) Enhanced focus on a new market. 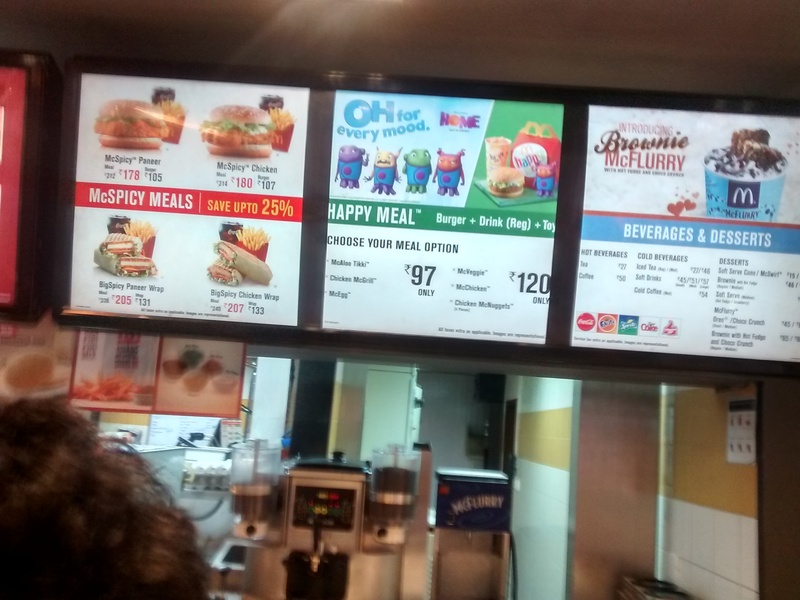 Select product and price display inside a McDonald’s restaurant in India. 1. Health Orientation/Nutritional Value : Notwithstanding the fact that McDonald’s tries to bring minor variations in regional markets, a scientifically based approach to adapt its offerings to local tastes and preferences may be in order. McDonald’s is a company known to take a study of norms, tastes, preferences, and language of customers before entering a market. Enhancement and more in-depth nature of assessment in terms of peoples’ receptiveness, demographic changes, and political & socioeconomic features may be cited as important. Youngsters all over the world are getting more familiar with the tastes of McDonald’s which can be taken advantage of. 2. Promotional Mix : A bottom-up approach to the promotional budget giving more leeway to the front line associates in selecting the technologies for setting the budget may be appropriate. Recent studies on innovation and newfangled approaches to problems identify the front line associates/managers as more equipped to meet the challenges and force the pace with bold initiatives. McDonald’s may already be on this course and the specifics relating to each of the mix parameters can be emphasized. Store layout or operations need to be based on set guidelines but can be less controlled. Franchisees have to be innovative on this aspect and prove themselves. 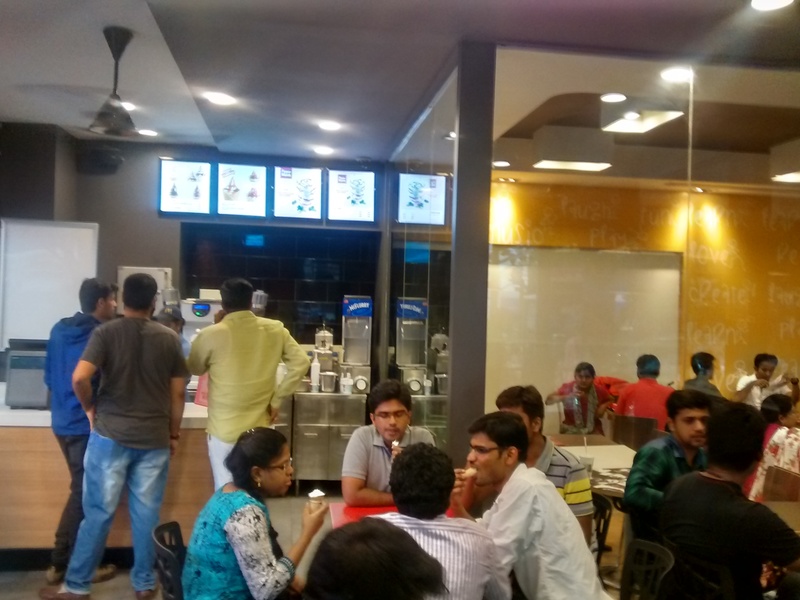 An inside view of McDonald’s restaurant in India. 3. Enhanced Focus on New Market : McDonald’s proven Channel System of franchisees in bringing services to customers needs to be driven more energetically. Expanding the “India” market beyond the limit of experience can well be a priority. Indian market will be a challenging one for McDonald’;s. It entered India in 1996 as a JV and it has now about 250 restaurants. Growing Indian Middle class; fascinated teenagers holding a visit to McDonald’s as an act of high social prestige; general mental belief to perceive anything foreign as more than worth attempting and likable; penchant for on-line booking orders in this digital era; increasing number of social celebrations/birthday parties etc., – afford a great opportunity that is waiting to be tapped. When American youngsters now go in crowds to Zaxby’s and Chiptole leaving McDonald’s, Indians are gathering frequently in McDonald’s – a perceptible shift that can shape McDonald’s strategy. If it can prosper well in India, the confidence and experience gained will be immense for it to succeed in any other place with just a fraction of the effort. A target to double the number of restaurants in two years is practical. McDonald’s is a household name now and the interest coincides with the present climate of providing new experiences and improving the quality of life of citizens here. Just recollect the ads which popularized McDonald’s in India : ” Toh Aaj McDonald’s Ho Jaye ” ( Translated in English it reads : ” Today we can do with McDonald’s ” ); or ” McDonald’s Mein Hai Kuch Baat ” ( Translated in English it reads : ” There is some matter in McDonald’s ” ). India’s fast food market will touch $ 78 billion by 2018. Currently it is $ 48 billion. With India’s infrastructure getting better, advertising & communication becoming more popular and easier, making deep inroads in India will be more than satisfying and profitable. McDonald’s is also trying to move from ‘big to small’; from ‘disacknowledgement to acknowledgement” ; from ” disapproval to approval/agreement” . Confluence of thinking is the positive sign. Steve Easterbrook, President & CEO, McDonald’s Corp, is expected to reveal and share his turnaround plans in just two days from now – on May 4, 2015. On 22 April, 2015, he reiterated firmly the words of Founder Ray Kroc : ” Take calculated risks; Act boldly and thoughtfully; Be an agile company “. He is also committed to making efforts to deliver ‘Contemporary Customer Experiences’ – in his own words. Will McDonald’s make customers visit more frequently is what everyone will be concerned now. Can McDonald’s force others in the same league to just be content to work around it and not compete will also be worth watching. Sunday, May 3, 2015 – 2. 59 p.m.
Tidbit : McDonald;s Corp (NYSE:MCD) Stock Price : $ 97. 80 ( May 1, 2015 closing ); Market Cap : $ 92. 60 billion; P/E Ratio : 21. 93; EPS : $ 4. 46; Shares Outstanding : 961. 12 million. 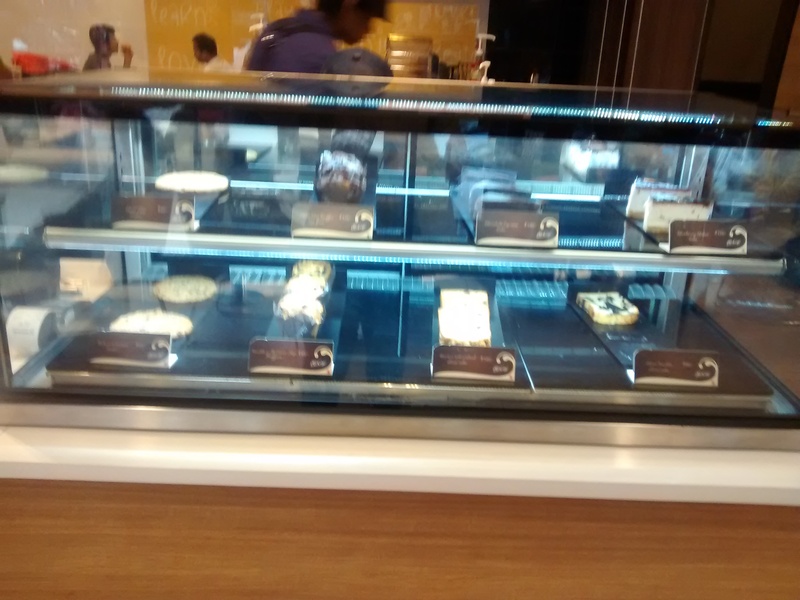 Pastries in display and for sale in a restaurant in India.